Need a break from work? 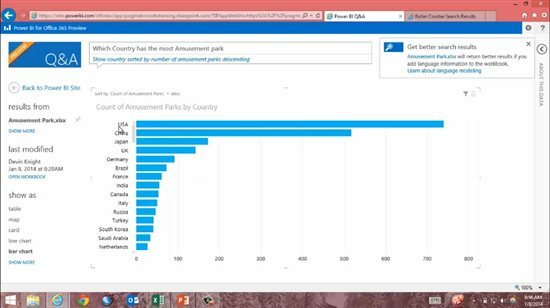 What better way to plan your next vacation than with Power BI. My wife and I are big thrill seekers when it comes to planning vacations so this was a fun way to integrate my passions. As a consultant I’ve had a lot of fun projects but the most interesting to me involve predictive analytics. I really enjoy the Power BI team blog. Often that’s where I get the latest announcements about Power BI updates.